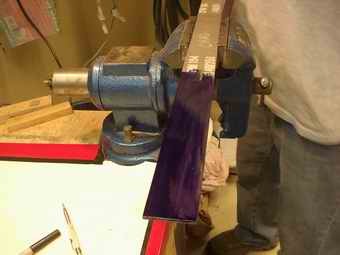 This page is devoted to custom knife making. 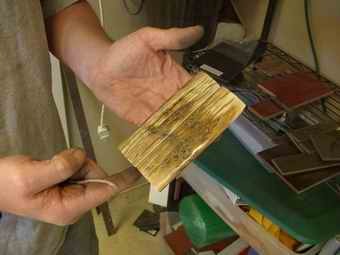 There are many processes involved when making a knife. 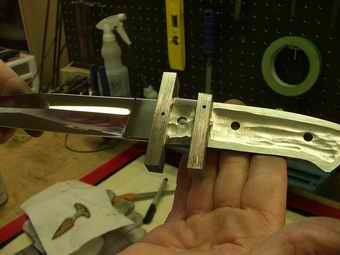 Clearly an early decision will be the type of knife wanted by a customer. 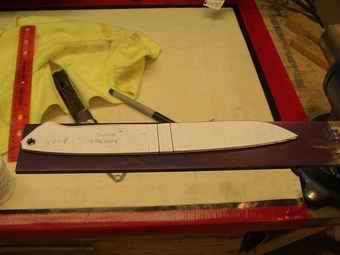 Once the style and type of knife are determined, a sketching will be made by Chad to be sure the look is what is wanted. 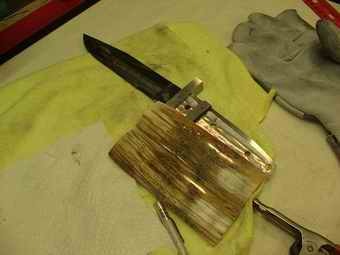 The steel that is selected for the knife is usually a CPM154cm type of steel. 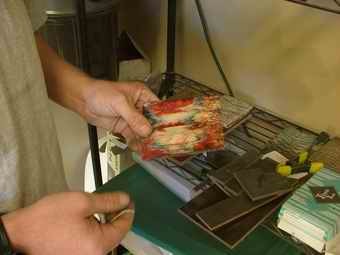 This is a very popular type of steel used by Custom Knife Makers all over the world. 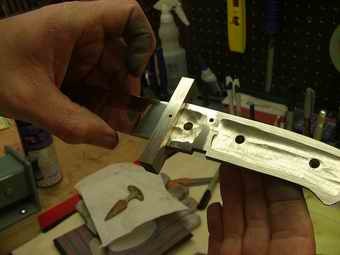 One of the most difficult and intricate procedures is fitting the handle material to a Sub Hilt Fighter. The design of the Sub Hilt is such that it has 2 distinct guards on it to protect the person. The handle material for that knife must match exactly the pattern within the handle itself and fit between the steel guards, just as precisely! 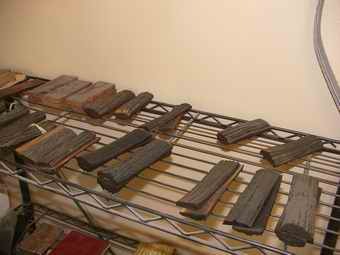 Plus, it will usually be the largest of all handles so the handle material must be picked with all of these points in mind. Nell Knives is proud to declare that all workmanship is completed within their own facility. 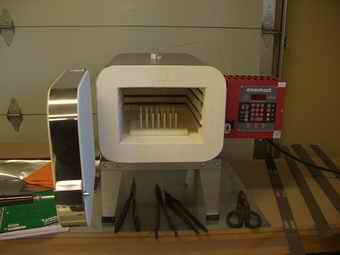 The addition of the Special Computerized Heat Treating Kiln equipment was the final touch necessary. 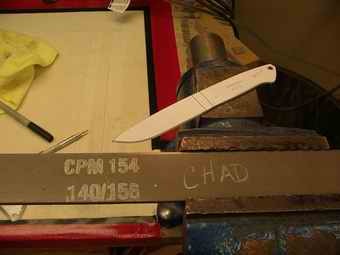 Even the knife sheathes are made by Chad in-house. Chad understands how important it is to offer a complete product from the steel to the final knife for each customer - that's the sign of a true custom knife maker.